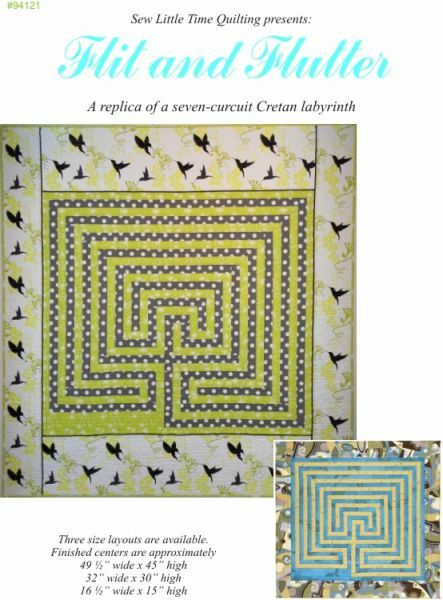 Flit and Flutter is a seven circuit Cretian labyrinth that is created using strips. The design starts in the center and builds out. It is not really difficult, however, the cutting and labeling of strips is a bit tedious but well worth the effort. The pattern has three sizes to choose from: 2", 1 1/2", or 1" strips.